By simply adding feet to a cast-iron horse trough, Austrian immigrant John Michael Kohler revolutionized the process of bathing as we know it. In 1873, buoyed by his early success, Kohler founded what has since become one of America’s oldest and most highly regarded private companies near Sheboygan, Wisconsin deep in Packer territory about an hour north of Milwaukee. During the following century and a half, Kohler has steadily expanded its business to include not only kitchen and bath products, but engines, cabinetry and tile produced from more than 50 manufacturing sites around the world. After realizing his own American dream, Kohler himself helped countless other immigrants pursue their goals of achieving a better life by providing them jobs, housing and educational opportunities. These days, the exclusive American Club resort exemplifies the can-do Kohler spirit with stunning accommodations, service, food and hospitality. Replete with natural lakes and gently rolling hills, this bucolic corner of Wisconsin is an unsullied breath of fresh air in the heat of summer, or anytime of the year. My wife, Jen, and I recently spent a couple of glorious days exploring the resort and the greater Village of Kohler just ahead of the Fourth of July holiday. A brisk five-hour drive from Indy through rain and Chicago traffic had us more than a little ready for some relaxation when we arrived early on a Wednesday afternoon. 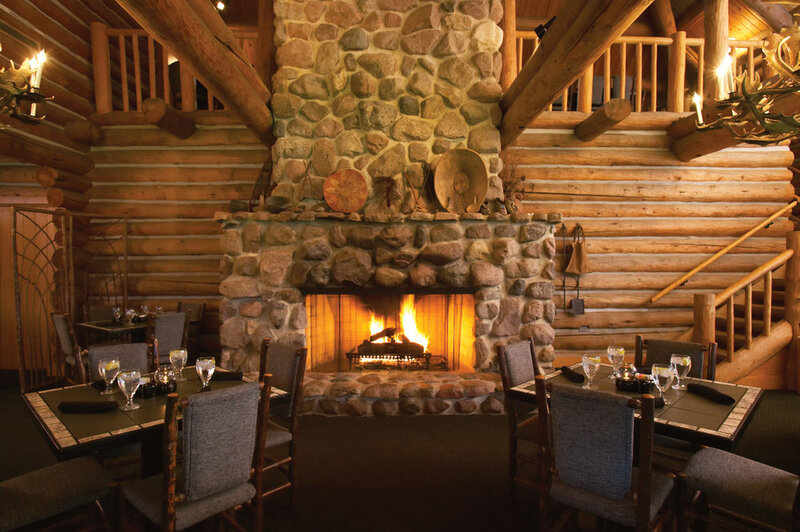 Eager to unwind, we wandered down a garden path amid grazing deer and skittering fawns to a leisurely lunch in front of a soaring stone fireplace at the River Wildlife Lodge. Fueled by homemade vegetable soup, a locally shot pheasant BLT and an exemplary grilled cheese sandwich (when in Wisconsin, right? 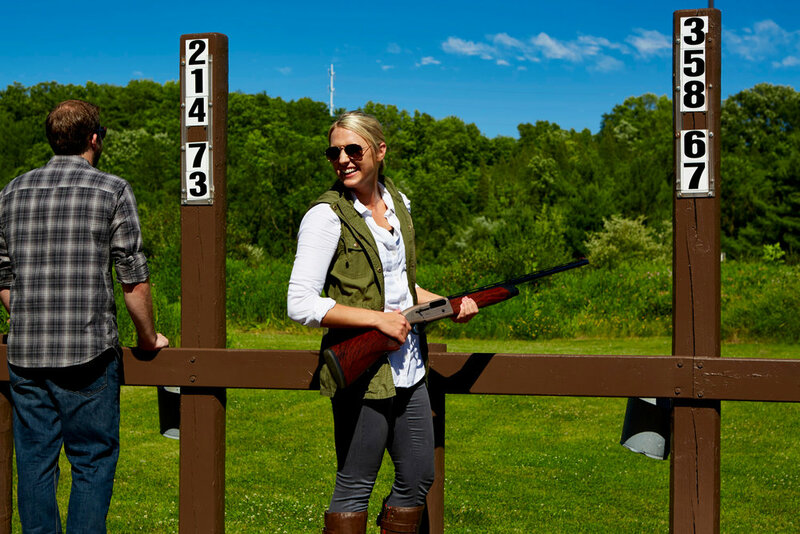 ), we spent an exhilarating al fresco afternoon riding horses and shooting trap. The extent of my equestrian experience usually involves sipping something cold while watching a polo match, and I’m not exactly the best shot in the neighborhood, but these activities turned out to be tremendous fun, even for me. Once a dormitory for immigrant employees with a pub, bowling alley and barbershop, the American Club was reimagined as a full-service hotel in 1981. The expansive grounds feel like Disneyland for discerning adults, studded with lush stands of trees, rolling expanses of greenery and natural water features. The on-site transportation provided by a fleet of pristine buses and private BMWs is a welcome upgrade from the usual theme park monorails and golf carts. Staying in the upscale boutique Carriage House, part of an annex to the American Club, we were treated to lots of pampering, including complimentary champagne, nightly wine and hors d’oeuvres, and a surprisingly creative continental breakfast spread each morning. As should be expected at any Kohler establishment, the services we received at the Waters Spa (also within the Carriage House building) were superlative. Jen loved the invigorating Healing Waters hydrotherapy treatment, and for me, the pine-scented Woodsman Massage was a delight after a long drive. All spa treatments include access to the expansive relaxation pool and enclosed rooftop deck with panoramic views and a co-ed hot tub. Blissed out, we couldn’t resist indulging in a few hors d'oeuvres in our robes before dressing for dinner. Formerly a dining hall for immigrant Kohler workers, the Wisconsin Room with its century-old stained glass windows and tapestries was our destination that evening for a magnificent selection of local fish, cheese and meats. 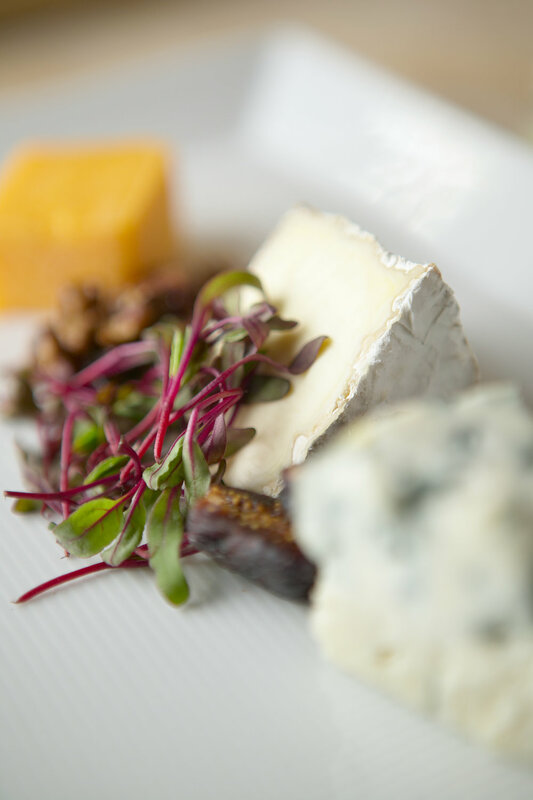 Beginning with a truly splendid cheese and charcuterie plate accompanied by a bottle of pinot noir, we continued the cheese theme with the Iceberg & Blue, possibly be the most inventive wedge salad I've ever seen — deconstructed and utterly delicious. For entrées, the grilled filet mignon and local Great Lakes perch lived up to the word-of-mouth buzz we’d been hearing. We also had the option of local sturgeon, trout and salmon, reminding us of the natural bounty available right at our doorstep. Jen and I might have been a bit ambitious in ordering the Kohler Chocolate Torte for four, but our chocoholic daughter certainly appreciated the leftovers we took home. You can’t come to Kohler without a guided tour of the iconic factory that still stands and operates across the street from the resort. 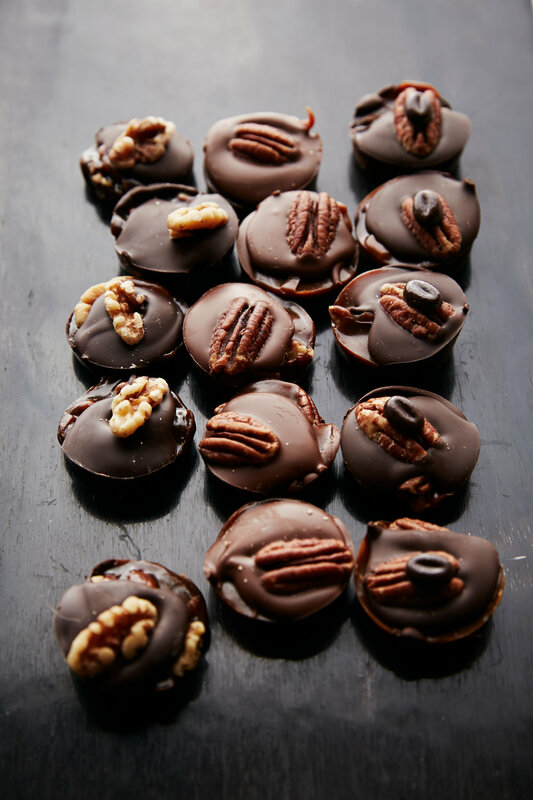 Former workers lead the Industry in Action Factory Tours for a dose of true authenticity; our guide had been with the company for more than 50 years. A pass through the Kohler Design Center revealed some of the company’s most innovative new offerings. We were particularly impressed (and somewhat bemused) by the clever Numi toilet featuring its own ambient lighting, heated seat and wireless Bluetooth streaming capabilities. I wondered to myself if it played a selection of my favorite show tunes, but didn’t have the nerve to ask. Suffice it to say, this extraordinary piece of technology gives a whole new meaning to modern convenience. Host of the 2020 Ryder’s Cup, the ruggedly beautiful Whistling Straits golf course overlooking Lake Michigan is a must for duffers. After lunching at the clubhouse on the 18th green, where we enjoyed pints of New Glarus Spotted Cow, Jen and I paired up with a father-and-son duo from Madison to try our luck on the links. The challenging round took us nearly five hours to complete (and probably would have been longer without the guidance we received from our cool caddy), but I was pleased with what I shot, despite the balls that wafted away on the brisk lake breeze. 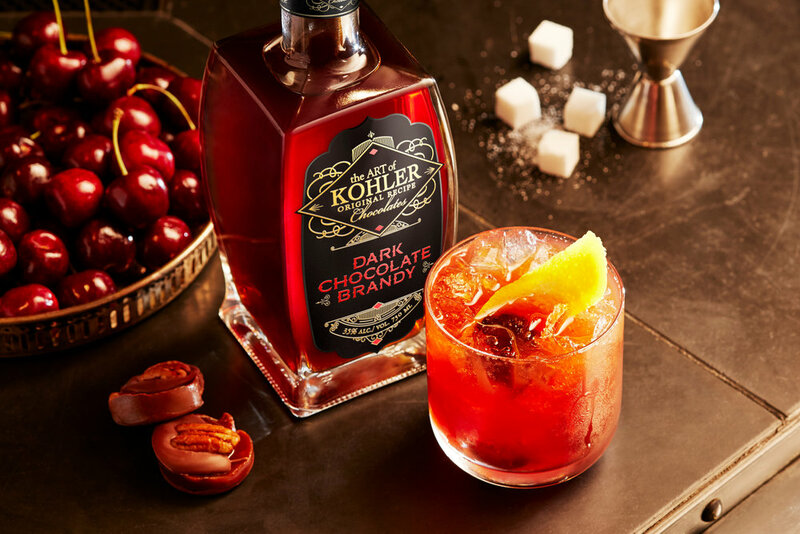 By the end of 18 holes, we were more than primed for a private tasting of cocktails crafted with the company's exclusive Kohler Original Recipe Chocolate Brandy. Luxurious and warming, it was the perfect way to unwind after an energetic afternoon on the links. It was hard to imagine a better meal than the one we enjoyed in the Wisconsin Room, but dinner at the Immigrant raised the already elevated bar to even loftier heights. Rich in character and historic elegance, this award-winning restaurant is arranged in a series of six rooms paying homage to the homelands of early Wisconsin settlers — French, Dutch, German, Norman, Danish and English. Rated Four Diamonds by AAA, the Immigrant’s seven-course tasting menu introduced one surprise after another, from caviar-topped deviled eggs to rabbit-stuffed quail to olive oil-poached tuna cheeks and A-5 Wagyu beef, all stunningly presented and perfectly prepared. With a couple of selections from the lengthy and well-curated wine list, this was a meal to remember, and will rank toward the top of our dining experiences for a long while. Wisconsin is a wonderful state, full of many hidden surprises. As as we drove from Indianapolis to the American Club in Kohler, I must confess I had no idea what to expect. To say our stay far exceeded any expectations of luxury, quality and pampering would be an understatement. Next time we visit, I’ll make sure to have brushed up on my chip shots and horsemanship. For more information about stays at the American Club, call 855-444-2838 or visit americanclubresort.com.